Day 2 began with the sessions from the previous day still fresh in students' minds. 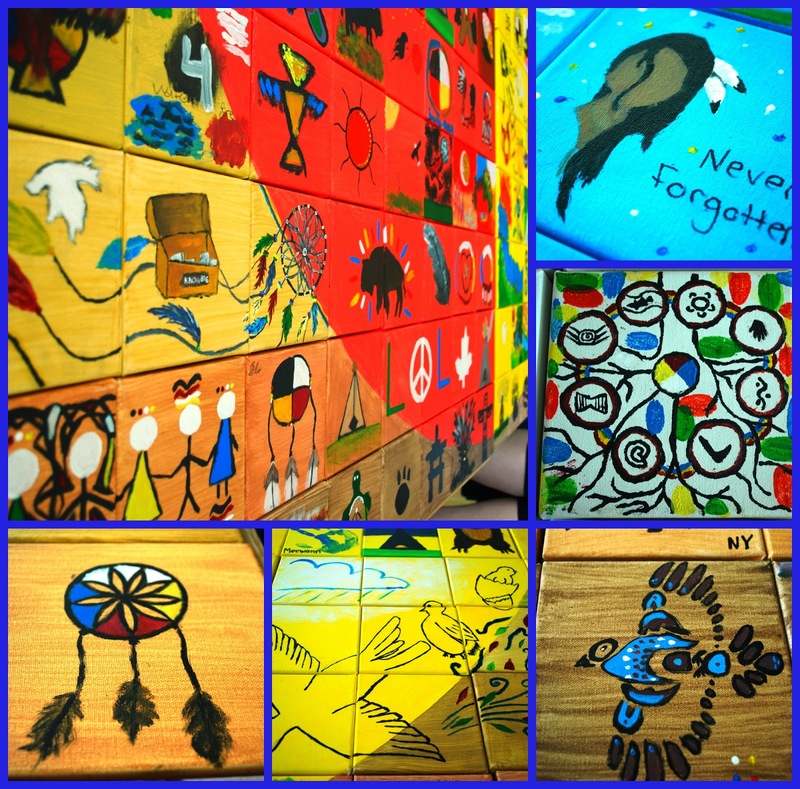 Today, students needed to respond to the question, "What does it mean to be a treaty 4 citizen?". Students began the day working in family groups in order to discuss this question. La deuxième journée de la conférence, les élèves sont revenus ayant en tête la question suivante " Que signifie le fait d'être un citoyen du traité no 4?" Les élèves ont commencé la journée en discutant avec les membres de leurs groupes familiaux au sujet de cette question. 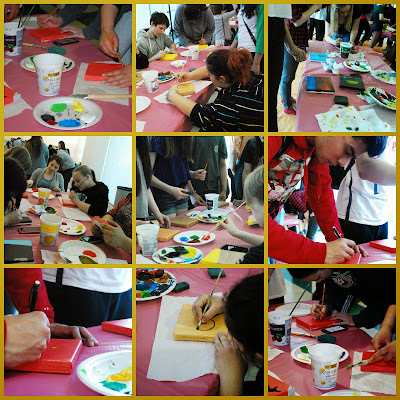 Once students had discussed in their "family groups", the collaborative art project began. Ray Keighley, the artist working with the students, provided the guidance needed to get the project off the ground. Lorsque les élèves ont discuté de l'idée de la citoyenneté avec leurs groupes, le projet collaboratif a débuté. Ray Keighley, l'artiste responsable de ce projet artistique a offert le soutien nécessaire aux élèves pour débuter ce projet d'envergure. 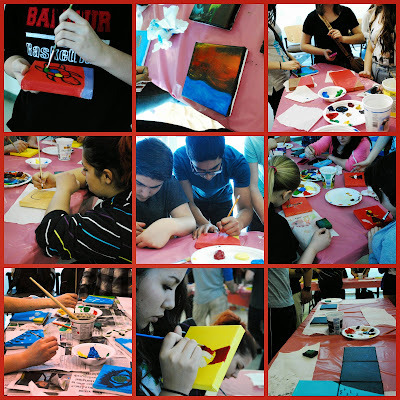 As students worked in their family groups, the art project began to come together. 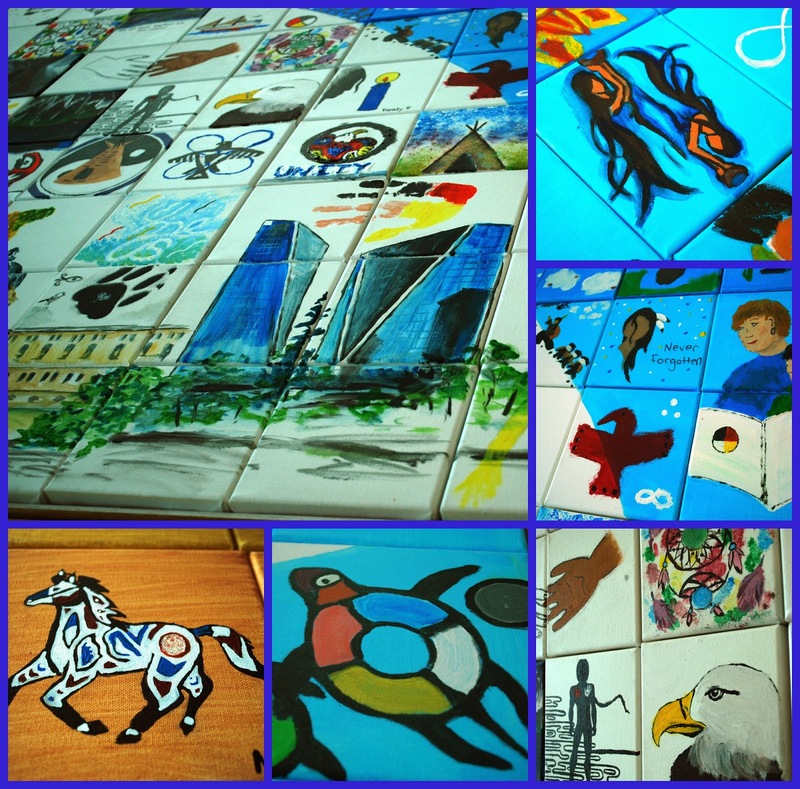 Some students chose to create their tile individually, while others chose to work as a group. Pendant que les élèves travaillaient dans leurs groupes respectifs, le projet d'art a commencé à prendre forme. Quelques élèves ont choisi de travailler sur leurs toiles de façon indépendante, tandis que d'autres ont choisi de travailler en groupe. And finally, the project came together. 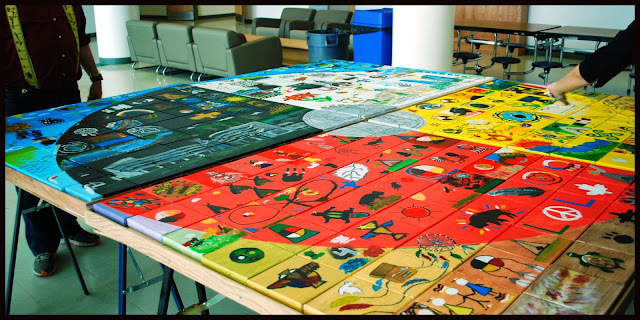 Below, see the final art piece - treaty citizenship as represented by students from Balfour, Martin, Scott and Campbell Collegiates. Et voilà, le projet est complété. Ce projet collaboratif représente la compréhension des élèves des écoles Balfour, Martin, Scott et Campbell au sujet de l'idée d'une citoyenneté envers le traité no 4. At the end of the day, the students and staff gathered together to reflect on the work that they had done. 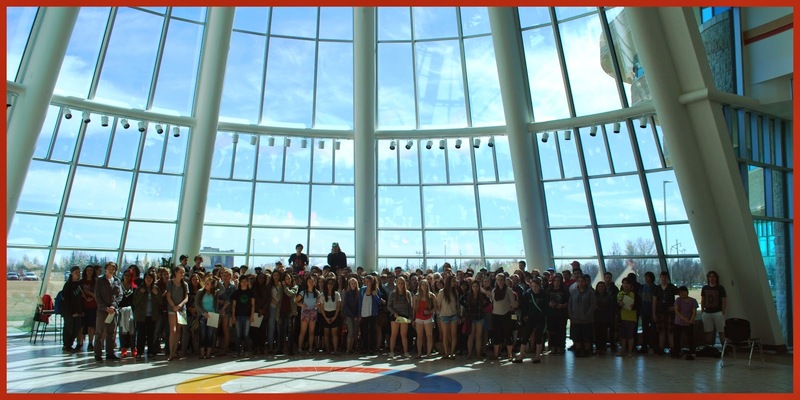 A special thank you to the student leaders from each school who helped to guide their groups in this process. À la fin de la journée, les élèves et les enseignants se sont réunis pour réfléchir sur le travail qui a été accompli. Les enseignants aimeraient remercier les élèves qui se sont portés volontaires pour guider leurs groupes de famille à réfléchir à l'idée d'un sentiment d'appartenance au traité no 4. 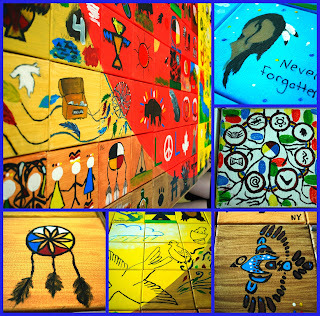 The Treaty 4 Youth project was a dream of two Campbell Collegiate teachers, Naomi Fortier-Freçon and Leia Laing. 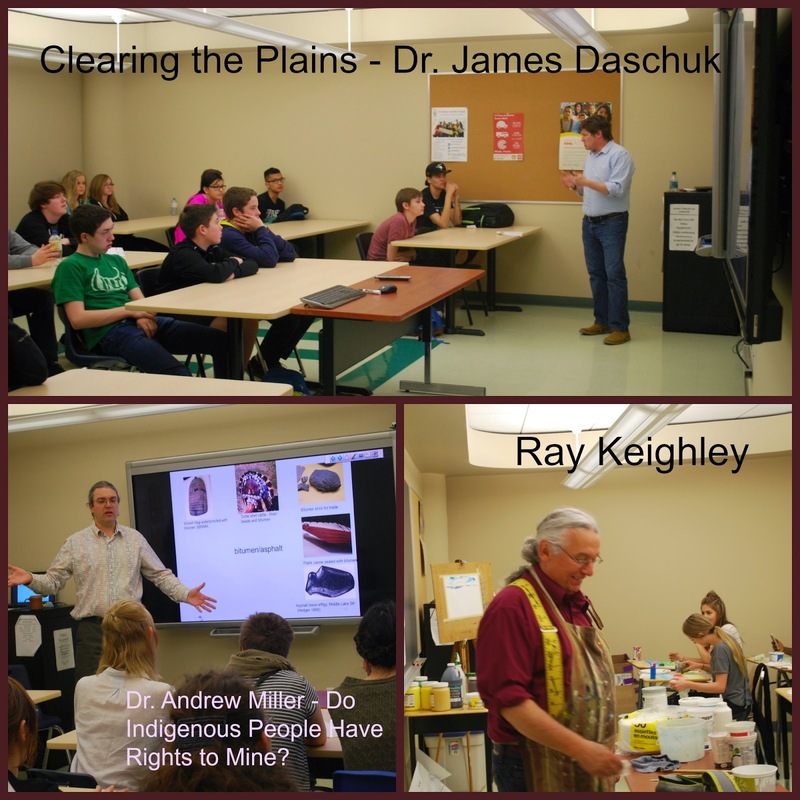 Both of these French Immersion teachers wanted their students to have a better understanding of treaty rights and what it means to be a treaty citizen. Despite teaching different courses and grades of students, they decided to begin this project that would allow for deeper understanding for students, and culminate in a collaborative art project that would represent this understanding. The Treaty 4 Project committee, comprised of representatives from Regina Public Schools, Elder Noel Starblanket and representatives from First Nations University, met regularly to plan and organize this event. From an initial idea developed the concept of a multi-school collaborative project that would allow students the opportunity to learn and create together. 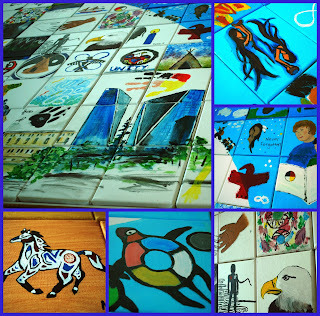 Leia and Naomi applied for and received a grant from the Saskatchewan Arts Board in order to fund most of this project. 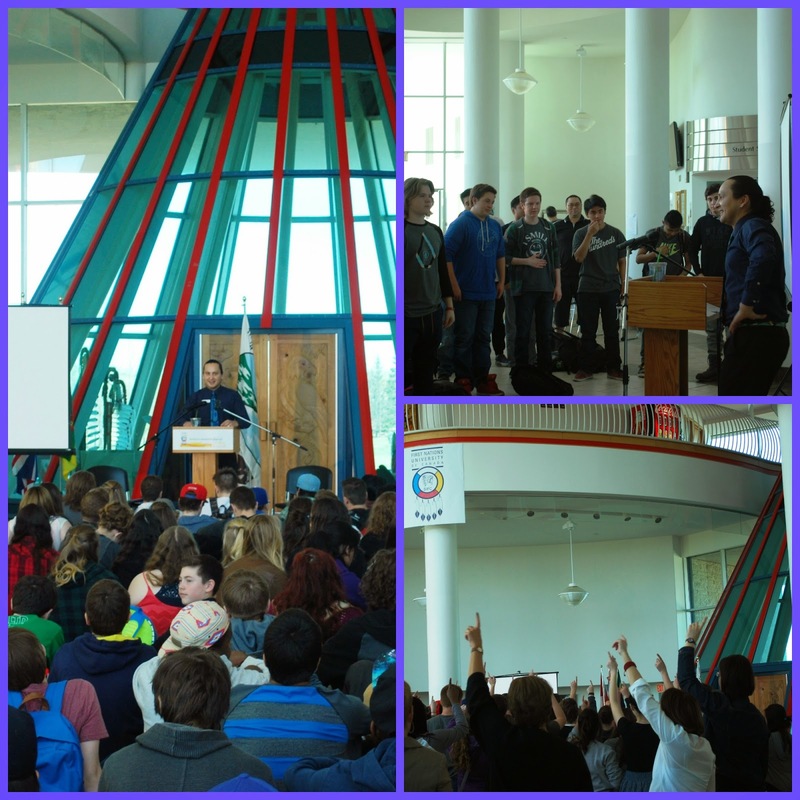 The Treaty4Project Youth Conference began on Tuesday, April 29th. 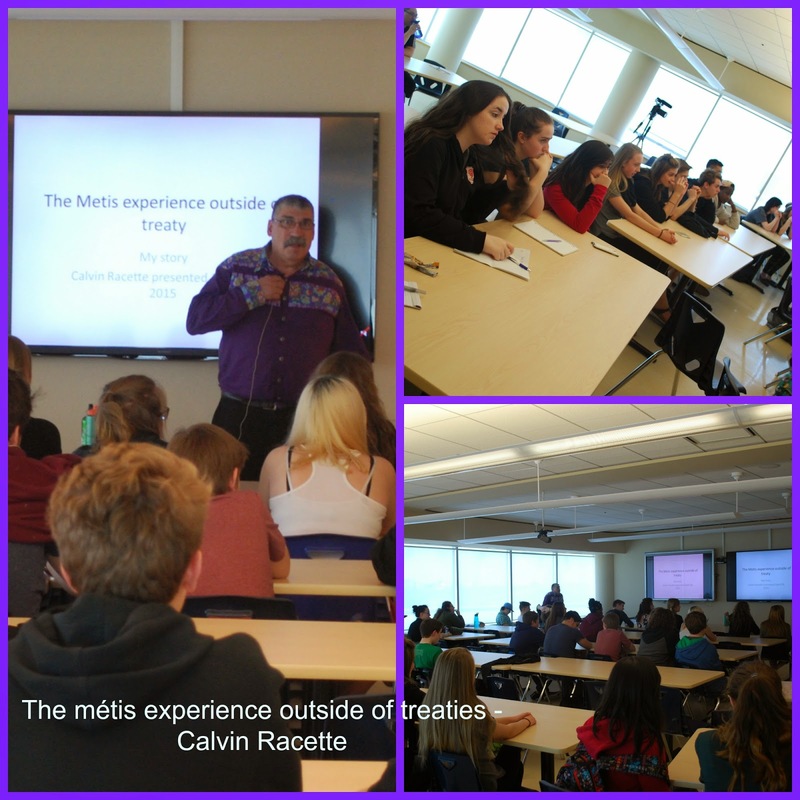 Students from Scott, Martin, Balfour and Campbell Collegiates were welcomed to the First Nations University of Canada by Cadmus Delorme, Brad Bellegarde, and the MC for the day, Sandra Bellegarde. 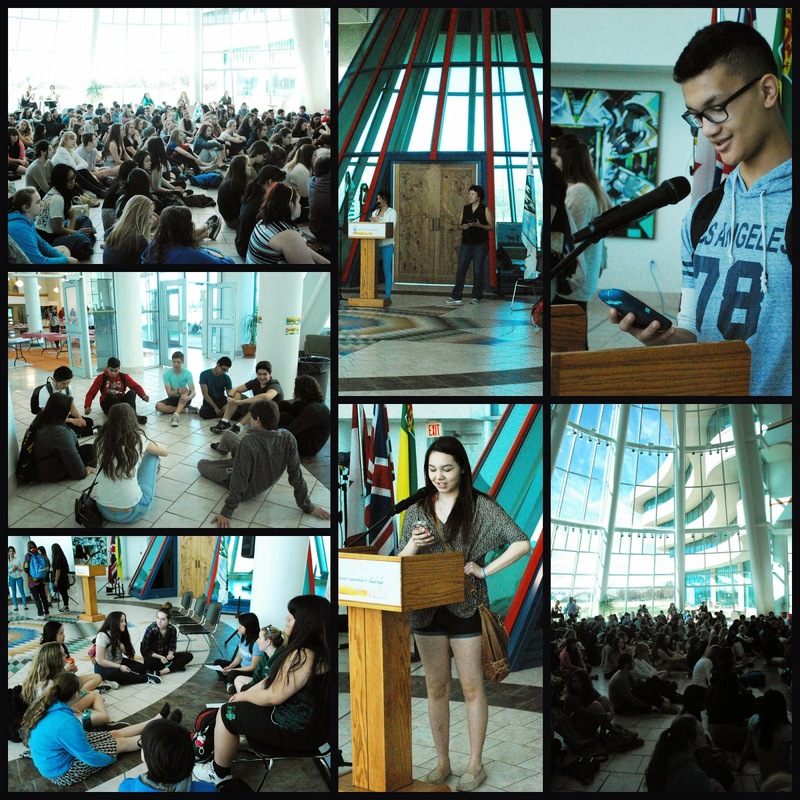 La conférence jeunesse Treaty4Project a débuté mardi le 29 avril. Les élèves des écoles Scott, Martin, Balfour et Campbell ont été accueillis à l'Université des Premières Nations du Canada par Cadmus Delorme, Brad Bellegarde et la maîtresse des cérémonies, Sandra Bellegarde. 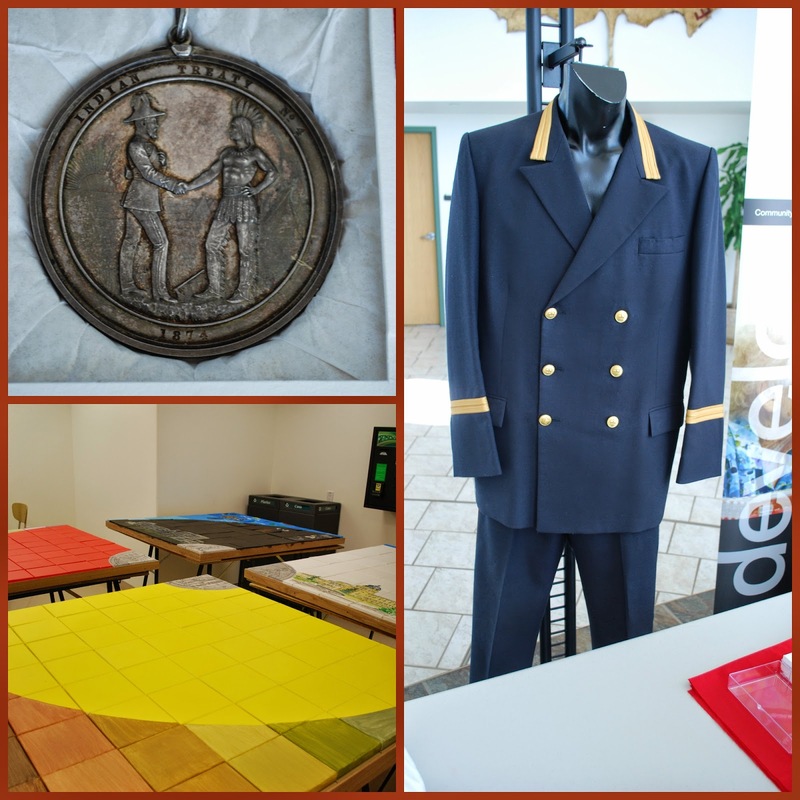 Students were able to see some important artifacts from the signing of treaty 4 including the treaty 4 medal and the treaty 4 suit. Special thanks Chief Perry Bellegarde, Elder Noel Starblanket and the Royal Saskatchewan Museum who assisted in this process. Les élèves ont eu la chance à examiner de près des artefacts importants datés de la signature du traité no 4, la médaille et le costume original donné le jour de ce moment historique. La comité aimerait remercier le Chef Perry Bellegarde, l'ainé Noel Starblanket et le musée royal de la Saskatchewan qui a accordé son soutien dans l'obtention de ces deux objets historiques. 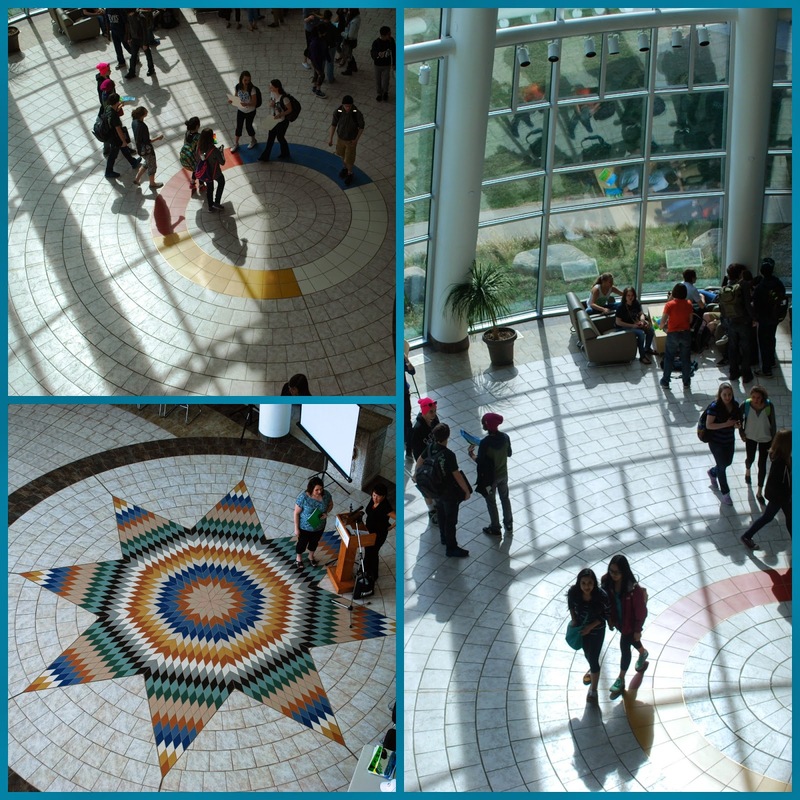 View from the 2nd floor at First Nations University - Students gathering. 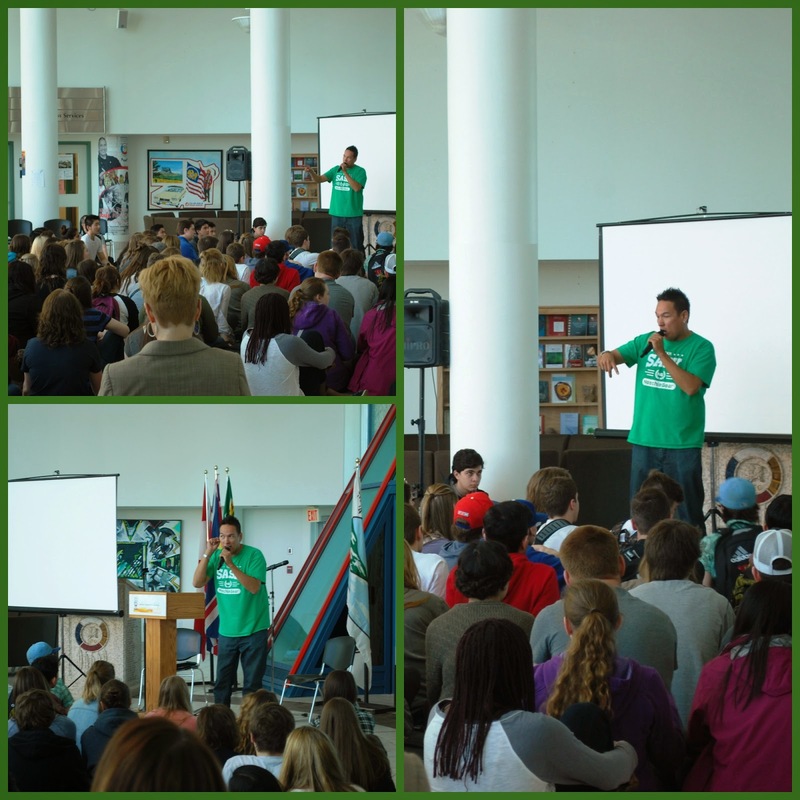 Cadmus Delorme - Welcoming the students to the First Nations University. A flex group project - Math & PAA go hand in hand! The mathematics core area at Campbell Collegiate has created flexible math classes that allow students to build skills and strengthen understanding of concepts in key areas. 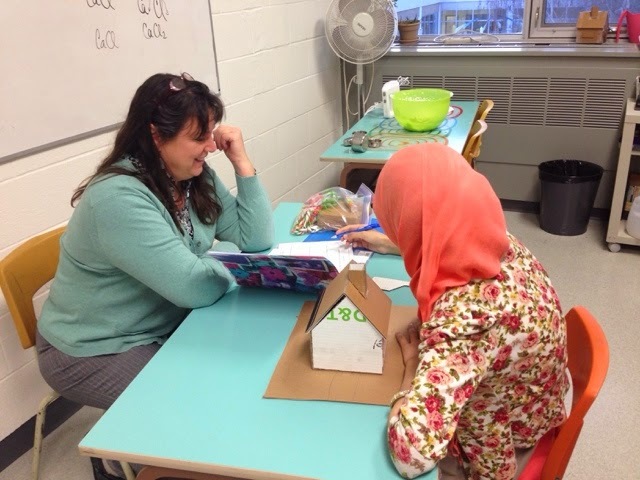 Kelly Frizzell, learning resource and grade nine math teacher, has been working closely with a small group of students. 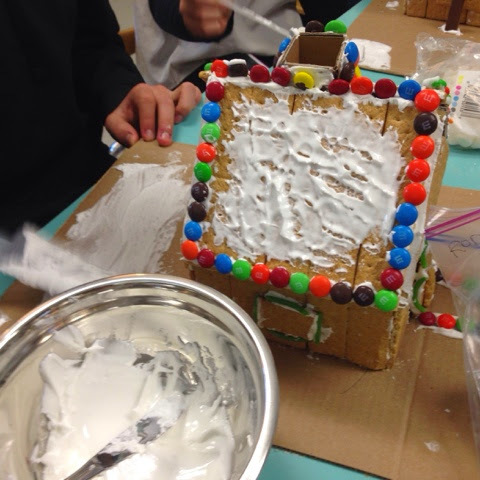 As the math core met during their collaboration time, Kelly shared that she wanted to engage her students by allowing them to do a hands on project where they could apply some of their mathematical skills in constructing or creating a project. Kelly met with Instructional Consultant Monique Bowes as well as with Joni Darke, Middle Years PAA coordinator, to come up with a plan. Kelly, Joni and Monique reviewed the various options that would be align with the grade nine math curriculum. 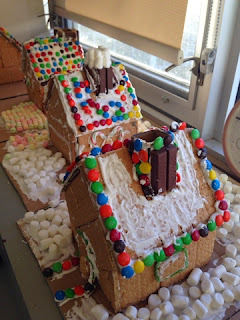 There were a number of projects that were considered, however, because it was nearly Christmas time, and the students were learning about surface area of prisms and of composite figures (SS9.2, SS9.3), they created a project that would have students design gingerbread houses while calculating the perimeter, surface area of individual pieces, and surface area of the entire house and yard. 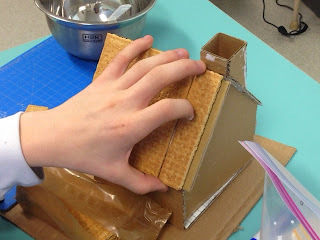 In addition to this, they would be required to calculate the surface area of the various additions to the house (graham wafers, m&m's, marshmallows) to determine how many of each piece they would require. Step 1: Kelly pre-taught some of the concepts leading up to the creation of the gingerbread house. Students reviewed how to calculate perimeter and surface area and did a variety of practice tasks to demonstrate their understanding of surface area of composite figures. 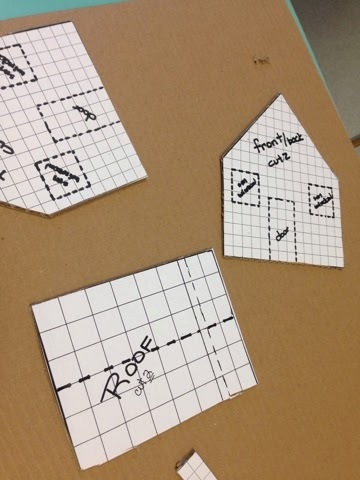 Before the students could cut out their templates, they were required to calculate the surface area of each of the individual shapes required. Step 2: Students were to use their pre-created templates (so each student would have similar measurements) and cut them out of the cardboard. Once they had done so, they would glue everything together using the hot glue guns provided by the PAA program. Step 3: More math! Now that the house templates were assembled, students were required to put in an "order" indicating how many of each time of food they would need. They calculated the surface area of the various construction supplies (graham wafers, m&ms, marshmallows, etc.) in order to determine how many they would need to cover the surface area of the various pieces. 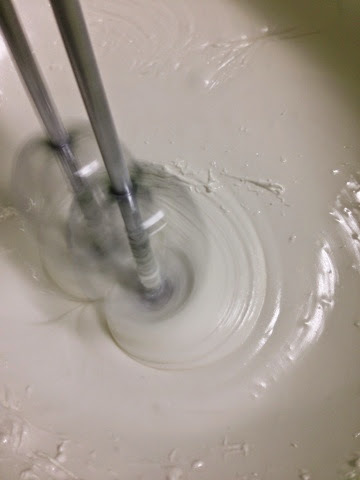 Step 4: Once measurements were complete, students measured icing sugar and egg whites and mixed up their royal icing. 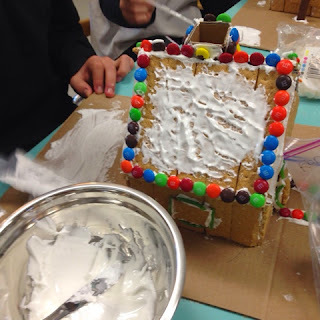 They used this icing to glue together their houses using the "supplies" they had requested. The final product! 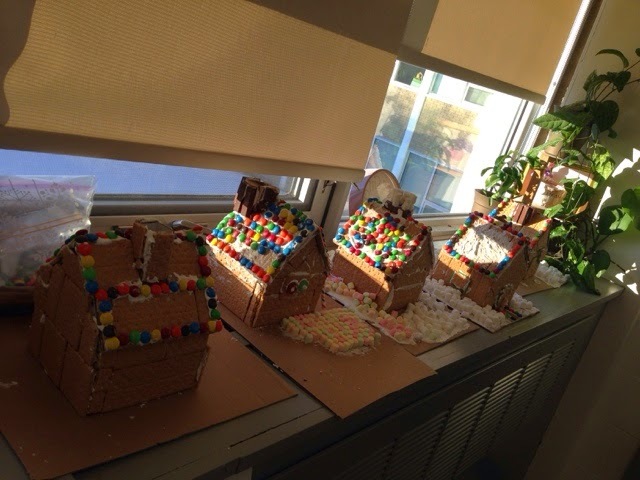 Students were able to take their gingerbread houses home to share. 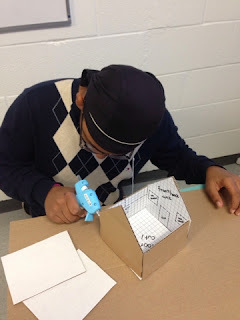 Kelly's main goal was to engage the students in math, to create an activity that would have them apply some of their learning in a hands-on context, but also to build confidence and to understand the applications of math skills in everyday life. As any teacher who has taught split grade math knows, it can be a considerable challenge. Balancing two sets of curricular documents, considering varied needs in the classroom, while trying to understand the intent and nature of the outcomes and indicators, the planning time and expertise required can be overwhelming. Tricia Racette, grade 5/6 teacher at École Elsie Mironuck Community school, wanted to try the Explore +4 structure in her math class. After attending the grade 4-6 sessions in the 2013-2014 school year and visiting classrooms, she decided that the structure would allow her to support the varied needs in her classroom. In addition, she knew she would be teaching a split grade math class and realized that she would need to be able to create a structure in her classroom that would allow for her students to work independently while she was working with small groups of students. Tricia co-planned with Instructional Consultant Monique Bowes to get this structure up and running. Initially, they met to look at the overlap in curriculum between grades 5 and 6 math. They used the planning documents (suggested timelines, comparison of curriculum content) provided by Regina Public Schools. Once the timeline was created, they started planning what the structure of Explore +4 would look like in Tricia’s classroom. As they began planning for Explore +4, they discussed the big picture pieces. Having already examined the time frame and layout for the courses, Tricia selected the grade level outcomes that she wanted to begin with. She reviewed the big ideas for those outcomes, using the Explore +4 planning template to help identify the big ideas and key understandings. Next they reviewed the structure of Explore +4 and how it might look in the context of her classroom. The key components included the co-creation of the anchor charts with students, understanding the various pieces (Math on my Own, Math with a Friend, Math Talk, Math Sense) but knowing that they were starting with only one component (math on my own) as they wanted to build stamina with the students. They also examined the structure of the small group that would be working with the teacher and what might be included in the mini lessons. 2. Initial planning and examining the curricular documents. Tricia selected the outcomes N5.1 and N6.1. N 5.1: Represent, compare, and describe whole numbers to 1 000 000 within the contexts of place value and the base ten system, and quantity. N6.1: Demonstrate understanding of place value including: greater than one million, less than one thousandth, with and without technology. Tricia knew that some of the students in the class would be performing at varied levels. 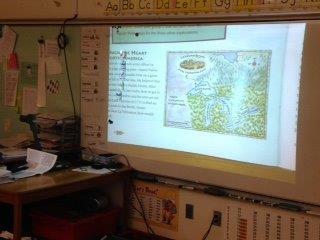 In addition, she was teaching a split grade class with two different sets of outcomes to assess. Together, Tricia and Monique examined the indicators to understand the connection and overlap between grades, and also to decide how to meet the needs of the students in the class. They wanted to know how the students performing at, above or below grade level might be able to meet the outcome given the indicator in question. This was by far the biggest challenge throughout the planning, instruction and assessment. A planning template helped to determine which big ideas were going to be taught, aiming for 10 minutes for the whole class lesson. 3. Considering how to pre-assess students to identify the varied needs and gaps. Tricia used the Saskatchewan Common Mathematics Assessments, available online through Blackboard (available in French and English). These assessment tools allowed Tricia to do some diagnostic assessment to understand what the needs were in her classroom. 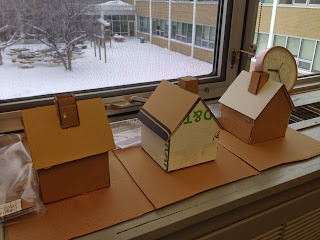 Additionally, the adaptation of this pre-assessment in a variety of ways (reduction of the number of questions, focusing on smaller, more concrete questions, including visuals where needed, allowed students to represent what they knew about place value in different ways). Right away, Tricia noted supports that might be required when setting up her small group mini lessons. The students were performing at a very wide range. She was able to use this information to decide how she might group students and what the focus of her mini lessons might be in the small group structure. Based on the diagnostic assessment, she needed to set up the classroom in a way that would allow for these groupings to work. She added information to the planning template to determine who would be in the small group at what time, what the instructional focus would be for the whole group, and what students would be able to work on independently during Math on my own. Tricia re-organized her classroom desks to divide her grade 5s and 6s. This allowed her to provide instructional time if needed with a grade specific group. She located an additional table in the school to create her small group space, and created a bucket with necessary materials (white boards, manipulatives, place value flip charts, etc.). Since Math Talk is a key part of the Explore +4 model, she started to develop a word wall with key terms and ideas, and created a chart for measuring stamina growth. 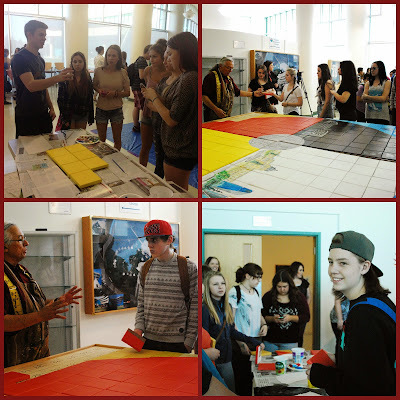 The next step was getting started with the students. Some had worked with the Explore +4 structure previously; some had developed stamina using the Daily 5 structure. It was interesting to note that student independence in math is very different from student independence in reading. It was not an easy process to get students working independently during Math on my Own; this required a lot of review of the anchor charts and finding appropriate material to work on that was challenging without being far too difficult… not an easy task. 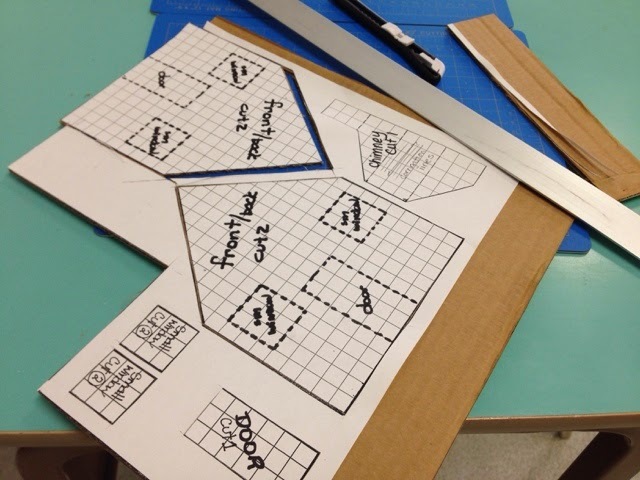 When Tricia began the whole class instruction with Explore +4, she included clear targets so students understood what they were working on and expected to know. She identified the“I can” statements for the students and put them on the board at the beginning of every class, referring to them throughout the process. Together, Monique and Tricia explained the structure to the students and highlighted the importance of students having “uninterrupted learning time” with the teacher when it was their turn in the small group. They worked with the students to co-create the anchor chart. They talked about building stamina and connected it to the work they had already done with the Daily 5. Tricia found she needed to add another instructional element: what do you do when you are stuck or you don’t understand the question? As the students started developing stamina, they struggled when they were uncertain about what to do next and because questions were only encouraged during the check in time, students hit a wall. As the classes progressed, and they realized that there would be check in points before and during the class, they were able to develop some of the skills needed to work more independently. Tricia provided students with an “I don’t know what to do!” poster that helped figure out the next steps for kids needing support. Building independence and stamina was a very slow process. Some days went really well and students worked well. Other days were more challenging. 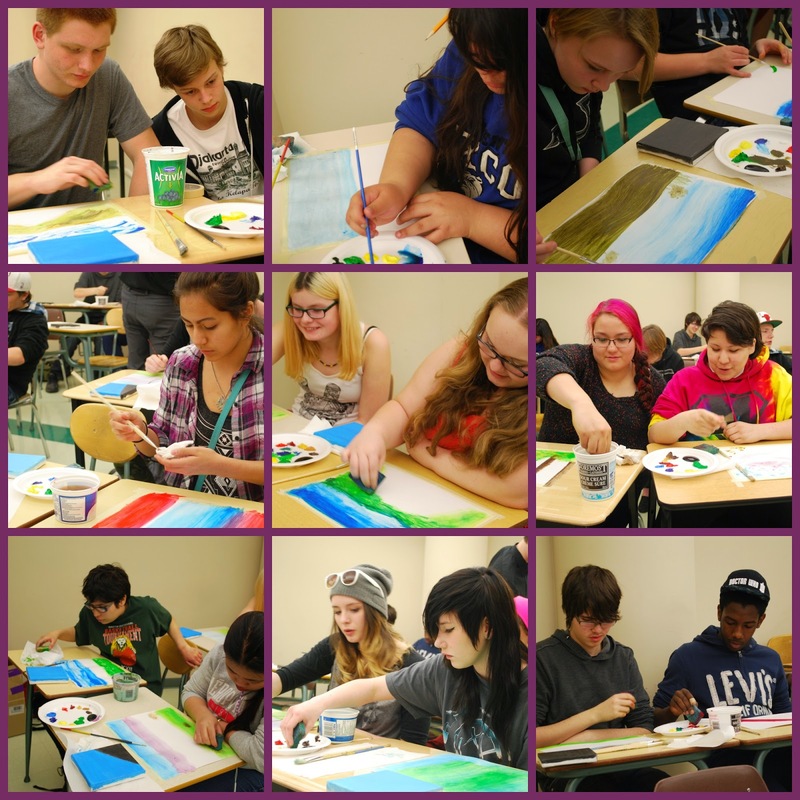 However, it was very early in the process and that students would become more proficient at working independently. At the beginning of a new class, Tricia determined what her focus would be for that lesson. She kept the whole class lesson short, around ten minutes. In her case, because she was teaching a split grade, some days she would need to introduce new concepts to one group or the other, but the stamina built up by her structure allowed her to do so. She tried to not introduce two new concepts in one day (meaning one per grade) in order to balance the planning and support. Once Tricia did the whole class lesson, she outlined the expectations for Math on my Own and provided the opportunity for questions. Then she reviewed the anchor chart, and set the timer. This allows her time to work with her small group. Based on the diagnostic assessment data and classroom observations, Tricia had already determined which students she wanted to start with during the small group instruction. She tried hard to keep the groups small (4-6) and found that when she added more, the group became too large to have meaningful instructional time. Students very much enjoy working in the small group with Tricia and all students benefit from this opportunity; some students require reinforcement of concepts, some need further instructional support, some need extension. The challenge is to respond to the needs of an entire class when the students are so varied in their learning styles and abilities, but in discussion with students, Tricia talked about what “fair” looks like for students; students need different types of supports to be able to understand and respond to the material. The assessment piece can be a challenge as well. 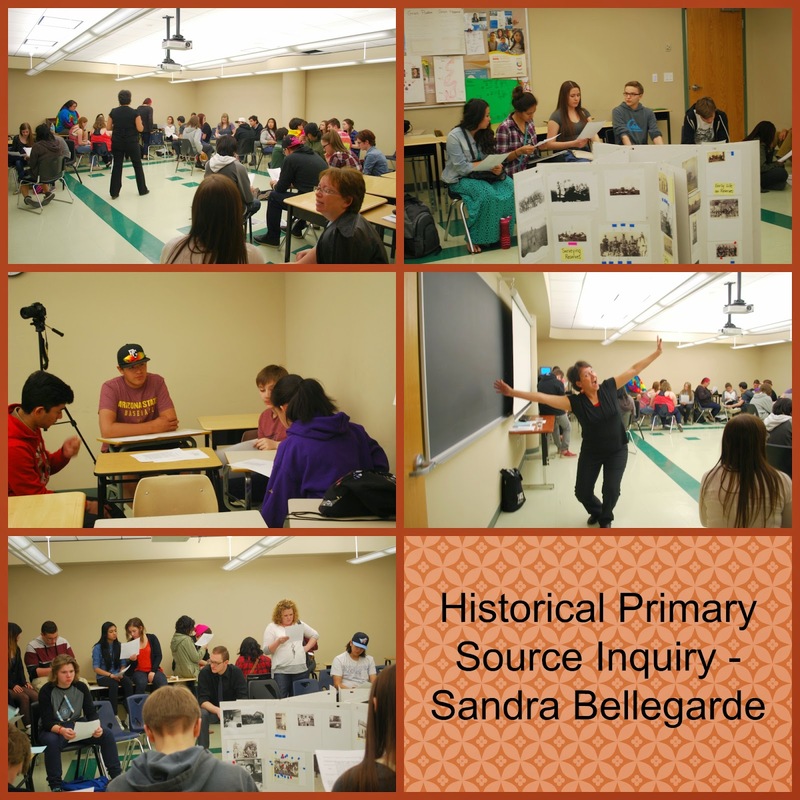 However, Tricia kept records of the outcomes for grades 5 and 6 and referred frequently to the indicators that allowed her to continuously assess and provide feedback as she was working with both the whole group and small groups of students. This allowed her make determinations about student understanding when one piece (a test, for example) didn't match what she knew about the student's abilities. Tricia also had to be very aware of the varied needs of her students as on occasion, she found that writing / reading skills could impact student ability to share what they knew. Tricia gradually introduced the other components of Explore +4 into her numeracy block. It was important to her to have the students well established in the routine and independence of Math on my Own before introducing Math with a Friend, Math Talk and Math Sense. Tricia introduced these slowly, and continued to co-create anchor charts with the students to clarify expectations. 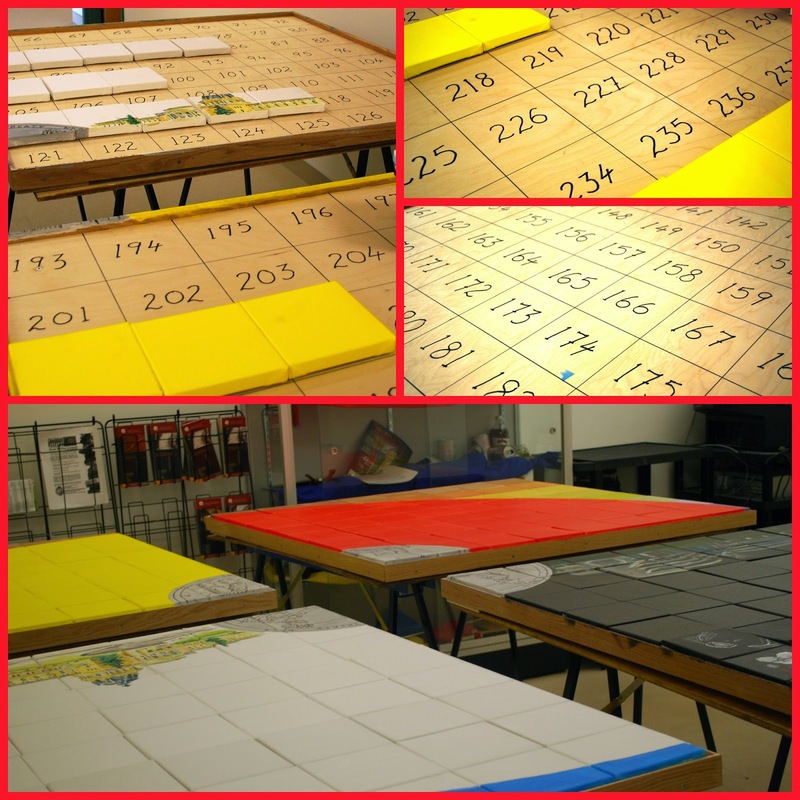 At this point, Tricia was able to adapt the structure to meet the needs in her classroom. She is consistently trying to find ways to identify what kids know and how they can express what they know and sometimes the structure needs to change to suit this. She may choose to only do Math on my Own for a chunk of time if students are struggling with stamina, for example, so that the independence is reinforced. Tricia will quite often break down an assignment into various components – a section that can be done as reinforcement for the mini lesson, parts that can be done during Math on my Own, and parts that can be done as Math with a Friend. As part of her Math Talk, Tricia has a math word wall for visual reference, and has incorporated math related language and questioning into other areas of her instruction as well. While teaching split grade math remains a challenge, it is a benefit to be able to integrate math content and vocabulary into other curricular areas. Tricia has started using math journals to have students respond to a variety of prompts related to the math concept being taught, and also has students assess their own understanding of where they are regarding a specific outcome. Tricia found that Math Sense, in which students play math games (both game based and online) was best left until the end of the week. If it was a part of the daily class, students were distracted from their task and were focused only on Math Sense and so this is another way in which Tricia made this work for her. Students used a variety of web based resources (link) as well as pre-made games that Tricia had prepared that allowed them exposure to math concepts and skills while enjoying the interaction with each other. - She can make this structure her own; it can be adapted to suit the needs of the teacher and the learners in her classroom. - Students required reminders and the visual of the anchor chart helped maintain consistency. When Tricia introduced new concepts she tried hard to keep an appropriate level of difficulty - challenging but not too difficult - otherwise students struggled to work independently. 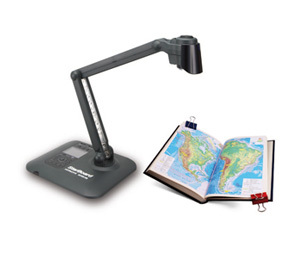 - This structure allows for small group focus in other classes as well. Once students understand the expectations of the structure they can apply the general ideas across content areas. 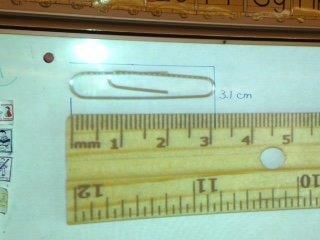 - The structure is not a "solution" - it is a means by which the teacher can work with small groups. 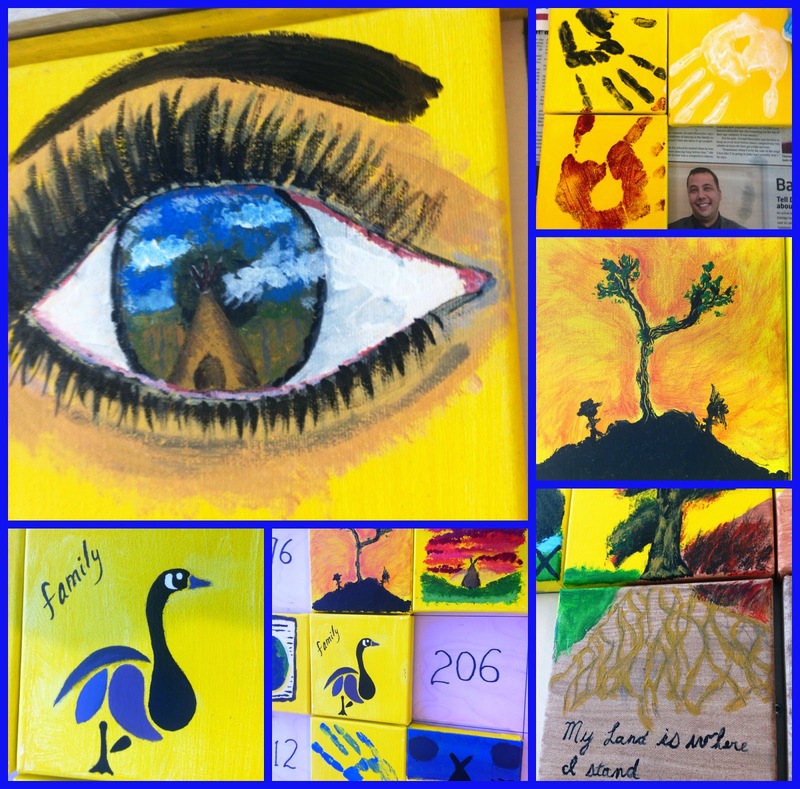 Tricia found that the challenge was not developing the structure but responding to the extremely varied levels and needs of her students. 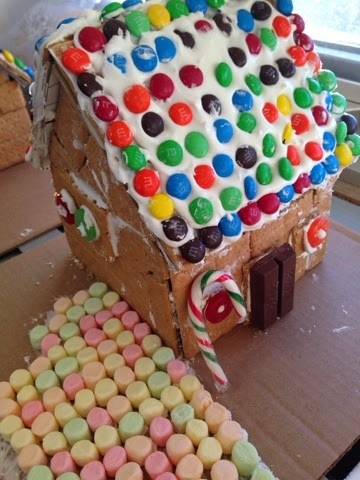 However, the structure allowed her to focus on specific skills and fill some gaps as demonstrated in her pre-assessment and her ongoing classroom assessment. - The structure was designed to allow Tricia to meet the needs of all of her students through small group instruction, however, when additional support was available this allowed her to connect with additional students during this time. - The whole group lesson was less imperative that she initially thought, given the time she has to work with individual groups of students. 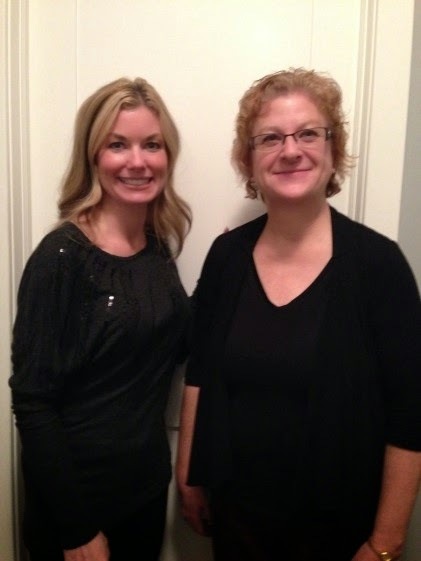 Tricia's main goal was to make math accessible for students and to develop confidence in their mathematical skill. Given the small group instruction that allowed her to build from where students were, in addition to the Math on My Own tasks that were challenging but appropriate to the skill level, and the instant feedback that students got when they demonstrated their understanding in different ways (such as on whiteboards), she has seen tremendous growth in the confidence of students as they take ownership over their own learning. 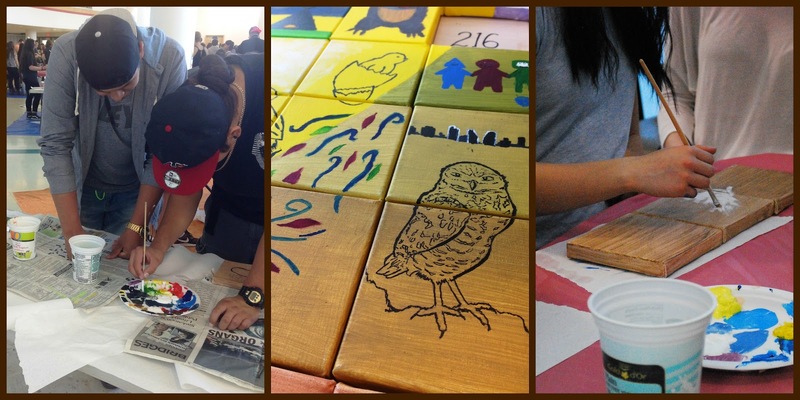 What is the Newcomer Welcome Centre? The Regina Open Door Society (RODS) has a Newcomer Welcome Centre (NWC) that is a collaborative service Centre to welcome newcomers to our city. Who are your EAL learners? 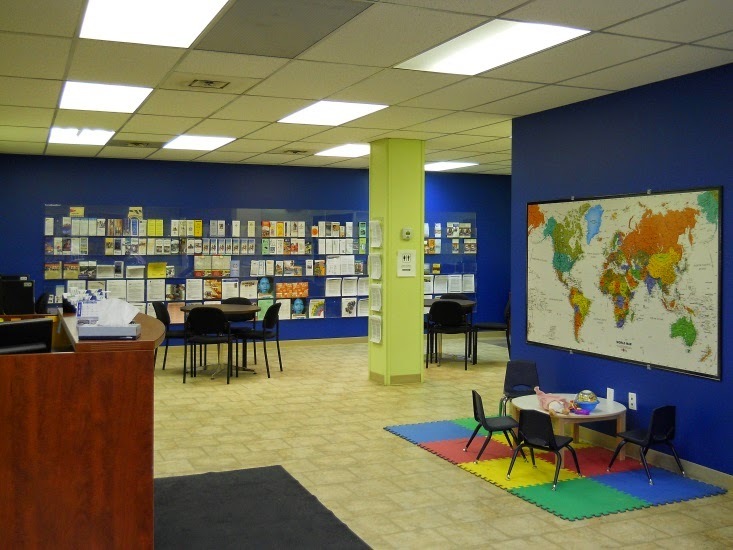 What does the Newcomer Welcome Center do? Students that register through the NWC will provide documentation for the school file and will complete an English language assessment. The assessment takes approximately an hour and a half. It includes an oral interview with an emphasis on speaking and listening, a basic math test, a writing task and a Fountas and Pinnell reading/writing bench mark assessment. When this is completed, the CFR level is determined and recorded on the Initial EAL Assessment Report sheet. Once the NWC completes the intake and assessment, they will contact the school to arrange a time for the family to visit. The staff at the NWC will send pertinent information (intake, assessment results, program recommendations, immigrant/refugee status, etc.) to the school in a coloured folder to be kept in the student’s cumulative folder. Rempel, EAL teacher, and Andra Donbrook, Teacher Librarian/Language Arts teacher, are discussing a newcomer student and tailoring a program to meet his needs. From this folder, they discovered that he is a newcomer with limited language skills in his first language, even though he speaks several other languages. His English language level is beginning so he will require support. As mentioned on the Initial EAL Assessment Report, he will receive instruction from the EAL teacher, as well as a differentiated program in the classroom setting.